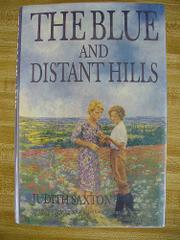  From the author of First Love, Last Love (1993) and a number of other romances comes this oddly lackluster story of a young orphan set in the English countryside during the post-WW II period. After spending several years hiding among peasants in Italy, Questa Adamson returns to England to find her father dead and herself the inheritor of his country estate, Eagles Court. The place is a ruin, but with the help of a crusty but lovable old caretaker and her son, Questa attempts to put it in order and get the farm up and running once more. Though she's barely 18, Questa has sworn off men for good after some terrible experiences with German soldiers during the war. But she has vivid dreams of a young lover named Marcus, who inhabited her land some 2,000 years ago. These dream sequences are barely credible and not well integrated into the story, so that their presence is like an annoying tic rather than an evocative refrain. Meanwhile, during her waking hours, Questa contends with the ups and downs of farm life and befriends an older man who owns the neighboring estate. It turns out he has a son named Martin, who bears a striking resemblance to Questa's dream lover. As she falls in love with Martin, the memories of her dreams grow less and less insistent. There's a resolution that ties the dream world to the waking one, though it's not at all satisfactory. As a romance, the book is even more of a dud: Since one of the obstacles placed before Questa is the need to overcome her revulsion toward men, it's more than a little frustrating that the novel ends with her preparing for her wedding day, leaving the reader to imagine the culmination of physical love.